Recipient of the highest honor that SPIE bestows, the 2002 Gold Medal of the Society, SPIE Member Zhores I. Alferov has made an enormous impact on the field of semiconductor heterostructures. His contributions to physics and III-V semiconductor heterostructures led directly to the development of lasers, solar cells, LEDs, epitaxy processes, and the creation of modern heterostructure physics and electronics. In sixth grade, Alferov started studying chemistry and physics and even had a small chemistry lab at home. During high school, he was influenced by his physics teacher, Yakov Borisovich Meltserzon. «The teacher loved physics devotedly and had a gift for making our imaginations work. His explanation of the cathode oscilloscope operation and talk on radar systems greatly impressed me,» says Alferov.1 On the advice of Meltserzon, Alferov went to Leningrad after graduation to study at the electronics department of the V. I. Ulyanov (Lenin) Electrotechnical Institute (LETI). Alferov began working in the LETI laboratory during his third year at the institute with the assistant to the chair of vacuum physics, N. N. Sozina, who was studying semiconductor photodetectors. A year earlier she heard Alferov speak at a student conference on photo-effect; impressed by his presentation, she invited him to join her in the lab. Thus began his work with semiconductor detectors. During this time Alferov became a senior researcher at the Ioffe Institute in 1964 and became head of the laboratory in 1967. That same year he married Tamara Darskaya in Leningrad. 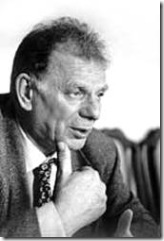 Alferov completed his Doctor of Sciences degree in physics and mathematics at Ioffe in 1970. Later in the year he traveled to the United States and worked for six months in the semiconductor devices lab at the University of Illinois at Urbana-Champaign. He worked closely with Nick Holonyak and the two remain good friends. During the 1970s, Alferov continued as head of the laboratory at Ioffe and led the creation of heterostructure-based solar cells, beating the Americans in the race for their early development. 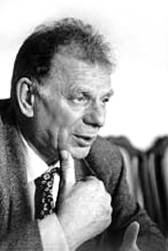 Alferov had a red-letter day in 1972; his son, Vanya, was born on the same day he received the Lenin Prize, the highest scientific prize in the, then, USSR. The next year Alferov became the chair of optoelectronics at the St. Petersburg State Electro- technical University, which was formerly LETI. In the late ’70s and ’80s, research at the Ioffe Institute turned to revolutionary work on superlattices, quantum wells, and quantum dots. And in 1987 Alferov became the director of the Ioffe Institute, a position he continues to hold today. In 1988 he was appointed dean of the faculty of physics and technology at the St. Petersburg Technical University. He was elected vice-president of the Academy of Sciences of the USSR in 1990. In 1991, he was re-elected vice-president of the new Russian Academy of Sciences and elected president of the St. Petersburg Scientific Center of the Russian Academy of Sciences. For his innovative research, Alferov has received numerous honors, including Life Fellow of the Franklin Institute (USA), full member of the Russian Academy of Sciences, Fellow of the Institute of Physics (UK), and foreign member of the German, Polish, Belarussian, and Ukraine Academy of Sciences. Alferov has authored three books, 500 journal articles, and has 50 inventions in semiconductor technology. He is also editor-in-chief of the Russian journal, Pis’ma v Zhurnal Tekhni- cheskoi Fiziki (Technical Physics Letters), and a member of the editorial board of the Russian journal Nauka i Zhizn’ (Science and Life).